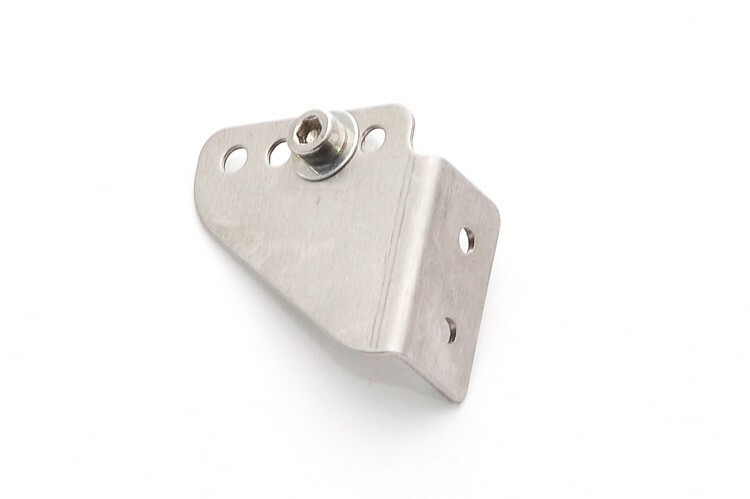 Finwing Penguin V2 Stainless Steel servo horn. Compatible with all the Finwing air frames, such as the Penguin, Air Titan and Sabre. A simple yet robust solution for connecting your control push rods to your servo's, and a much stronger and preferred solution to a standard plastic horn when using powerful servo's. The horns have four hole's drilled giving you different travel amounts on your control surface. The lowest hole gives the most travel, the highest gives you the least. Your control push rod can be attached by the collet supplied with the horn, which will except around a 2mm rod (approx). We recommend using thread lock to secure the connection between push rod and collet. Two screws/bolts (3mm) can be used to secure the push rod to your control surface.